As wish lists grow ever longer by the year, so, it seems, do the wants and needs loved ones. When “mommy I wants” become more frequent, it’s imperative to consider what products to save for, how to save, and when to buy. 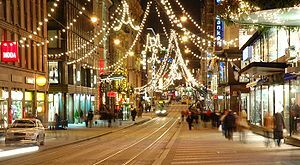 Christmas is an unmistakable time of year, one characterized by busy streets, furrowed eyebrows, and the shrill cry of electronic anti-theft columns. Once plump wallets are quickly thinned and saving becomes a necessity. Fortunately, there are experts such as Sarah Platte who are knowledgeable on subject such as buying and saving… two topics that keep us adults scratching our heads when the bank statements arrive after the holidays. Sarah Platte is a consumer savings expert for PromotionalCodes.com, who strives to teach shoppers how to get the best prices on everything from travel and electronics, to subscriptions and shoes. She was recently featured on Fox and ABC local news networks.